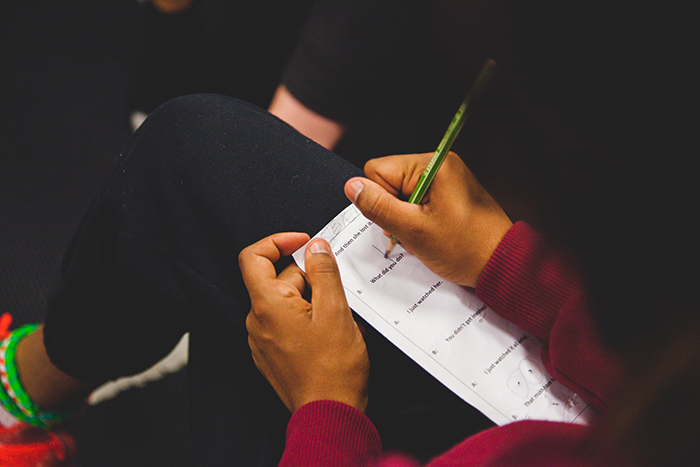 After years of success improving literacy in classrooms around the country, Sydney Theatre Company is now expanding its ground-breaking School Drama program to include students in Juvenile Justice Centres and in adult education contexts with refugees, migrants and asylum seekers. Developed in 2009 in partnership with The University of Sydney, STC’s School Drama program has been acclaimed by Australian and international critics and is now a cornerstone of the company’s Education program. Taught over seven weekly sessions, STC employs a ‘Teaching Artist’ to work alongside the teacher in a co-mentoring relationship, using drama techniques to improve English literacy in students. “School Drama is different to traditional ‘artist-in-residence’ programs, which often leave the teacher unable to carry on the program after the artist leaves. The idea of this program is that we invest in the teacher, share with them the skills, knowledge and expertise in using drama and they will then continue using that after we leave the school,” STC Education Manager John Saunders said. 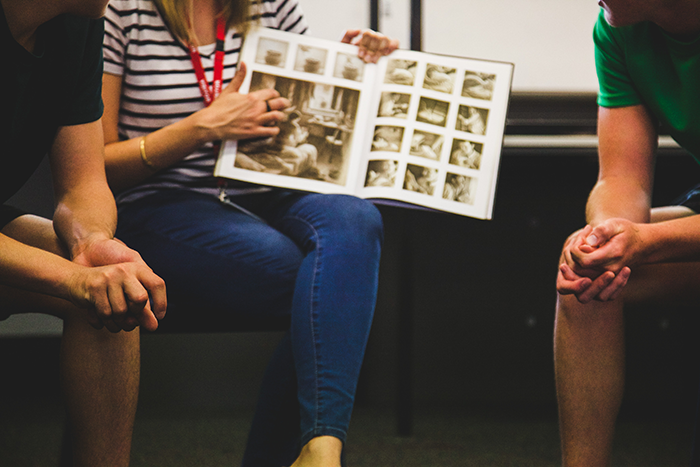 In 2015, John and STC Education Development Officer Zoe Hogan met with the Principal of Dorchester Education and Training Unit, within Reiby Juvenile Justice Centre in Campbelltown who was excited by the School Drama program and wanted to implement it within the centre. Of course, the program needed to be changed to fit this new setting. “It's different to School Drama in Primary Schools because the boys are different. It doesn't follow that more traditional model that we have for School Drama where it's about the teacher learning first and the student learning second. This was really about the student's experience and engaging them in something different, and the literacy was kind of hidden in the drama experiences. It's really about developing empathy and that connection in the boys,” John said. While at first hesitant, John says the students’ response to the program has been overwhelming, and the research and learning outcomes speak for themselves. Following on from the success of School Drama in Intensive English Centres and with primary students learning English as an additional language, a new program is currently being piloted as an Adult Drama and Literacy Program with refugees, asylum seekers and migrants learning English, in cooperation with other organisations including MTC Australia and Asylum Seekers Centre. John says working with adults in an educational setting is vastly different from teaching the program in Primary Schools. “When we're working in Primary Schools, it's always about the teachers learning as well – so there's that dual focus – making sure the teacher is getting a lot from the program and making sure they can continue it after we leave. Whereas when we're working with adults, it's much more about the adult's literacy and engagement, and because they've often come through the difficulties of a refugee experience, there's a whole new layer of complexity to that situation,” he said. While still in the early stages of the pilot phase, the Adult Drama and Literacy program is already proving to be successful, having garnered an overwhelmingly positive response from students and an expression of interest from the pilot partner organisations to continue on with the program. Find out more about STC's School Drama program.